Diagnosed wi th diabetes in 1959 at the age of two (see photo on the ‘Home Page’ section), the resultant sixty years with this disease has been celebrated with the award-winning book “My Diabetic Soul – An Autobiography.” As a Global Diabetes Awareness and JDRF (Juvenile Diabetes Research Foundation) Advocate, I continue to speak about diabetes…its possible causes, theories, various treatments, updated research opportunities, sharing facts, ideas, and more. 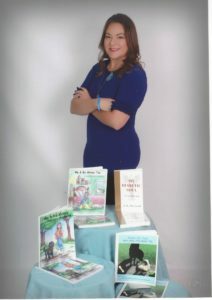 Enlightening the world with my second, third and fourth books , (“My & My Money…a child’s story of diabetes,” and “Me & My Money Too, Book Two” with the award-winning book “Kisses for Cash…T1D meets T2D Book Three”) are appealing not only to children but those of you who care for and love a diabetic pet. Having researched facts for this book, it became evident that diabetes in animals has risen 300% in recent decades. 300%! That’s a lot. That is too much! Money is the name of the adopted diabetic dog that is loved and cared for by Kali, a 4th grader and T1D (Type One = juvenile) diabetic. Responsibilites of a diabetic child are highlighted throughout this book series to encourage and educate all readers. Why is the dog named Money? It is explained in the book! All these books are available at Amazon.com, public libraries across the United States, various retail book sellers, and e-books. Graduating with three business degrees and another in California State Law, my writing skills were continually encouraged, expected and sharpened. Through gained knowledge of expressionism and empowerment, I sharpened my talent to write and continue to do so. Having had the pleasure of establishing four separate sole-proprietorships in my lifetime thus far, these businesses helped others express themselves by using my talented writing skills. Now I am able to write for myself. This task-to-goal has been most enjoyable and progressive. While maintaining a balanced yet overwhelming life, I am proof that diabetes is not a death threat. Accomplishments and encumbrances happen with or without strategizing one’s lifestyle(s). All three books are reality redeemers for all readers as well as inspirational, motivational and encouraging. Available in paperback and e-readers, the enjoyable convenience of reading continues. Take care! Important words to live with. 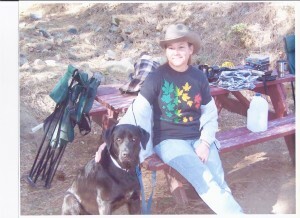 A. K. Buckroth is a talented writer who has dedicated her life’s mission to Diabetes awareness and education. A. K. Buckroth has a gifted ability to captivate the attention of the reader with a creative and expressive methodology that never loses sight of the underlying message. She shares her intimate personal experience and studied expertise of the disease in her writings and communicates the medical, physiological and scientific perspectives with clarity and precision. For the adult diabetic, Buckroth offers understanding and encouragement. For the child and juvenile diabetic whose lives are frequently consumed with the disease, Buckroth offers compassion and friendship. Thank you! Your comment is very well written and hopefully will encourage other readers with the same attitude.